Producer. Nationality: American. Born: Pandro Samuel Berman in Pittsburgh, Pennsylvania, 28 March 1905; son of the film executive Harry M. Berman; sometimes billed as Pan Berman. Education: Attended schools in Philadelphia, New Castle, Pennsylvania, and New York City. Family: Married 1) Viola Newman, 1927 (divorced), son: Michael, daughters: Susan and Cynthia; 2) Kathryn Hereford, 1960 (died 1993). Career: 1925—assistant director, then film editor at RKO; assistant to William LeBaron and David O. Selznick; 1931–40—producer, RKO, then at MGM until 1967; retired 1970. Awards: Irving M. Thalberg Award, 1976; David O. Selznick Lifetime Achievement Award, Motion Picture Producers Guild of America, 1992. Died: In Beverly Hills, California, 13 July 1996. Film Daily (New York), 8 July 1953. Obituary in New York Times , 15 July 1996. Obituary in Variety (New York), 26 August 1996. Obituary in Classic Images (Muscatine), September 1996. Pandro S. Berman was one of the great line producers in Hollywood history. Working for RKO in the 1930s he supervised the creation of such classic Fred Astaire-Ginger Rogers musicals as The Gay Divorcee , Top Hat , Follow the Fleet , and Swing Time . At MGM in the 1940s Berman produced such hits as National Velvet starring Elizabeth Taylor and Father of the Bride , again starring Taylor, this time with Spencer Tracy. Berman's career spanned three important eras in the history of the movies. The first was his apprenticeship in the 1920s. In those days one learned all aspects of the film industry at the feet of the masters at work; no one went to film school. It was on-the-job-training at its best. Indeed Berman never went to college; he went into the film business directly from high school. His father, a minor executive at powerful Universal Pictures, secured Pandro's first job at a minor studio, Film Booking Office. Little did they know that before the end of the 1920s Film Booking Office would merge into one of the major studios and become part of RKO. Such luck is the foundation of many a great career. Berman worked hard at his new job. He worked his way up to chief film editor, and then became an assistant to William LeBaron and David O. Selznick, two of the myriad of early production chiefs at RKO in the late 1920s and early 1930s. From this position of power he teamed Astaire with Rogers and helped remake the history of the Hollywood musical. He also assisted the careers of Katharine Hepburn and Cary Grant, plus director George Stevens. But RKO was always on shaky grounds financially and thus any producer had to work twice as hard as one at the studio then at the top, Metro-Goldwyn-Mayer. Thus it was not surprising that Berman was drawn to MGM in 1940 to work for Louis B. Mayer. Berman's early MGM films will not be remembered as great classics, but nearly all made money. He built the career of a young Elizabeth Taylor from National Velvet to Father of the Bride to Ivanhoe to Cat on a Hot Tin Roof and Butterfield 8 . 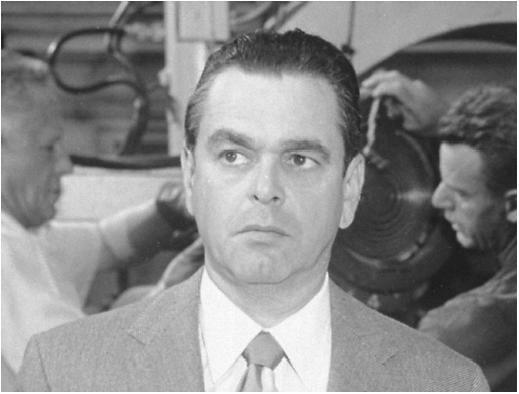 Berman's output as a producer slowed considerably in the late 1950s and early 1960s. With the change of power at MGM in 1956 he became in effect an independent producer distributing through the studio. And Berman did well by MGM. When the studio was entering its darkest days in the 1960s, Berman produced many of its rare hits: consider that in 1964 The Prize starring Paul Newman and Edward G. Robinson finished 19th in Variety 's listing of top money-making films of the year. Two years later A Patch of Blue starring Sidney Poitier, Elizabeth Hartman, and Shelley Winters finished tenth. But MGM slid further and further downhill. Berman gracefully retired from the studio in 1967 after working there for more than 35 years. He switched to Fox for his two final productions (neither of which did well at the box office), Justine and Move . Pandro S. Berman survived almost everyone from his generation of producers from the Golden Age of Hollywood, and thus gracefully retired in 1970. The Academy of Motion Picture Arts and Sciences honored this ultimate insider with the Irving Thalberg Award in 1976 for his consistent creation of profitable films.